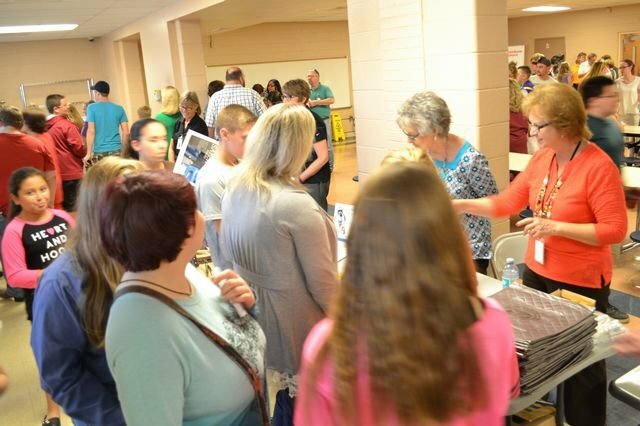 Bulls Gap middle school students and their parents/guardians were invited to a College & Career Fair on Tuesday evening. We had a great turnout from our school families! We heard presentations from the TCAT Center and Walters State Community College, learned about TN Promise, and visited booths set up by Milligan College, Carson-Newman, Walters State Community College, Rural Health, TRW, the TCAT Center, the Tennessee Institute of Cosmetology, and Capital Bank.